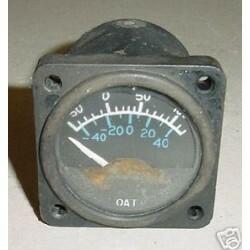 2 1/4" Twin Cessna Outside Air Temperature Indicator. P/N C668520-0101. Sold for display, as is, no returns. 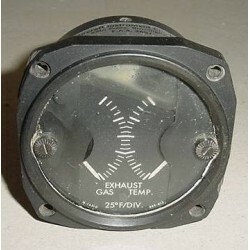 Twin Engine Cessna EGT Indicator. Manufactured by Alcor. 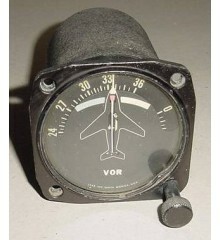 Model C136. Cessna P/N C668502-0102. 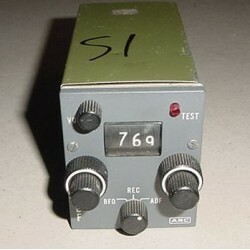 No probes with the indicator, just what you see on the photo comes with it. Condition, as removed. 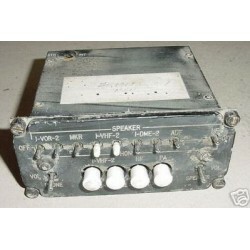 Twin Engine Cessna Audio Panel. P/N SK13113-001. It looks rough but with some care it would make a nice mock panel addition. Sold as is, no returns.